If the World Cup final was a clash between the best team and the best individual, it was the best team that won out in the end. 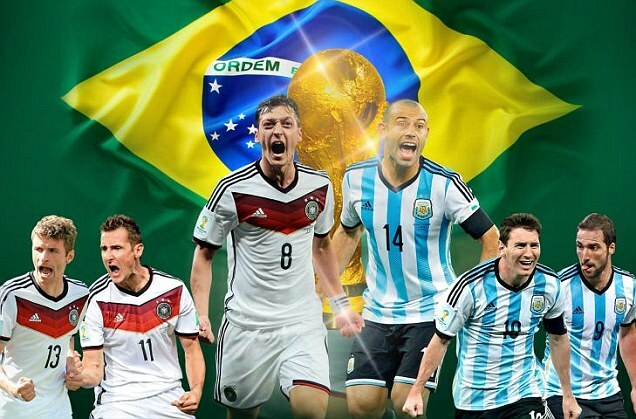 That might explain why this World Cup Best XI has so many German players in it. After all, this was meant to be the competition in which Neymar, Cristiano Ronaldo, Lionel Messi, Luis Suarez and James Rodriguez were almost solely responsible for their teams’ success. It did not turn out that way, and if there are any lessons to be taken from Brazil 2014, it is that the team remains the most important aspect of this beautiful sport. The 2014 World Cup final offered a perfect contrast of modern football tactics: the attack-minded possession machine of Germany against a defensively organized, deadly-on-the-counter Argentina. Germany won, 1-0 in extra time, but not before being frustrated by Argentina, which missed chances of its own to win. Wingers Enzo Pérez and Ezequiel Lavezzi switched sides from where they played in the semifinal against the Netherlands, allowing the more conservative Pérez to play closer to Javier Mascherano to counteract Germany’s right side of Thomas Müller and Philipp Lahm. The Netherlands beat Brazil for the second straight World Cup, and while 2010’s quarterfinal win legitimately ended Brazil’s quest in South Africa, the 2014 third-place match seemed more like the final act of destruction, with the Selecao failing to turn in a more inspired showing after a 7-1 drubbing at the hands of Germany in the semifinals. 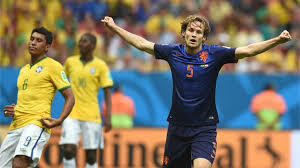 For Brazil, it marks the official end of a lost World Cup, while the Netherlands have a second straight top-three finish to boast after the 3-0 win in Brasilia. SAO PAULO – In one important and excruciating way, the Netherlands’ defeat in Wednesday night’s World Cup semifinal at the Arena Corinthians was frustratingly familiar. For the fifth time, the Dutch were eliminated from a major tournament via penalty shootout. On this occasion, Argentina did the deed, 4-2, following a scoreless 120 minutes. Renowned for their precision and comfort with the ball, the Dutch somehow have found the 12 yards separating themselves from the next round to be too high a hurdle far too frequently. They have won only two tiebreakers at either a World Cup or European Championship. Even though one of those triumphs came just a few days ago in Saturday’s quarterfinal against Costa Rica, old doubts may have crept into the Dutch huddle on Wednesday. Following the game, Netherlands coach Louis Van Gaal revealed that the first two players he approached declined to take the opening kick. He then turned to Ron Vlaar, who had put in a spectacular 120-minute shift in central defense. 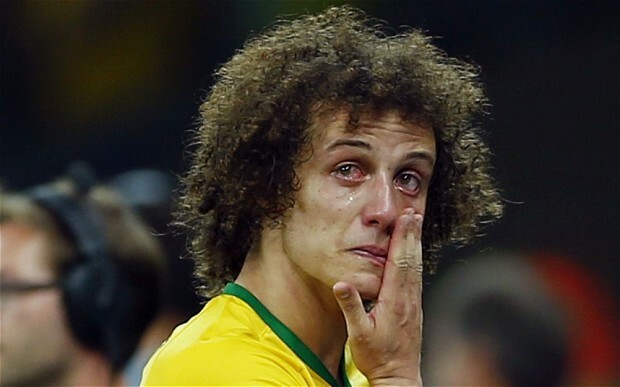 SAO PAULO — A bad week for Brazil just got worse. There’s not much that could make the humiliation of Tuesday’s 7-1 defeat to Germany feel even grimmer, but Argentina winning the World Cup at the Maracana would be unbearable. The holiest of the holies has already been defiled once, by Uruguay in 1950, but that would be nothing to the desecration of seeing Lionel Messi and his side celebrating there on Sunday. BELO HORIZONTE, Brazil — We had been waiting some time for this. 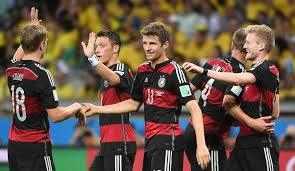 Since the 2006 World Cup, Germany has had the feel of a great team in search of a definitive performance. Bayern Munich has become the dominant side in European competition and its production of gifted young attacking players is the envy of the world. And yet somehow, the national team, for all this was its fourth successive semifinal, had flattered to deceive. Was it, critics of manager Jogi Low wondered, a case of a great players and a not great coach? 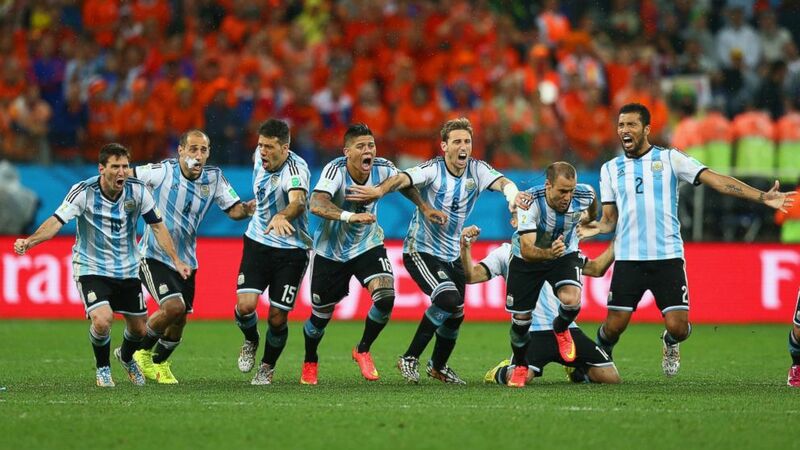 But this, at last, a 7-1 triumph over World Cup host Brazil, was the moment at which it all came together. BELO HORIZONTE, Brazil — And so we come to the end. With apologies to the great baseball writer Roger Angell, the laurels are all cut, the year draws in the day, and we’ll go to the Mineirão, or the Castelão, or the Maracanã no more. As ephemeral as phantom outfielders, Brazil’s boys of this remarkable World Cup summer (or southern hemisphere winter) drifted back into the corn this afternoon as an aghast throng poured opprobrium down on their fallen former heroes.